Lily Longi. White Heaven is a White cut flower. Approx. 90cm and wholesaled in Batches of 10 stems. NB. 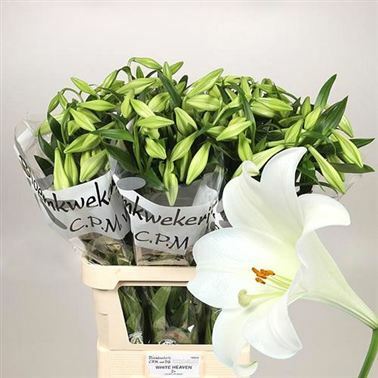 Longi Lilies can take up to a week to open so always (without fail) order in good time and earlier than your other flowers.